Luxury Real Estate Partners announced today condo buyers searching for a luxury condominium at Platinum in Las Vegas’ CityCenter can now find all the resources they need on a single website: MyLVCondoSales.com. Platinum Las Vegas condos are for sale now available via MyLVCondoSales.com. According to Luxury Real Estate Partners President Anthony Phillips, the MyLVCondoSales.com website offers Las Vegas condo buyers a host of online tools to make a more informed decision on a high-rise condo purchase in Las Vegas. The MyLVCondoSales.com website is a high-tech extension of Luxury Real Estate Partners’ highly successful approach to matching luxury properties to discerning buyers through state-of-the-art tools as well as the team’s highly personalized service. Web visitors to MyLVCondoSales.com will find accurate and detailed information on every available high-rise condo in Las Vegas with listings that are updated daily, and include photographs and often high-definition video that beautifully showcases each condo. Luxury Real Estate Partners recently made the search for Las Vegas condos even faster and easier for prospective buyers who prefer browsing for Las Vegas condos on their mobile devices. Thanks to a new partnership with Smarter Agent, a free app is available for download which provides additional features for smartphone users to narrow their search to a specific price range, property type, number of bedrooms and bathrooms, and other user-defined qualifiers. More information on how to download the Smarter Agent Real Estate app can be found on MyLVCondoSales.com, or the app can be downloaded directly from the Apple, Android, Blackberry and Palm app stores. 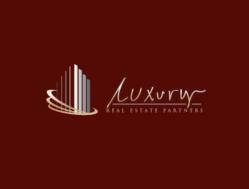 In addition to the MyLVCondoSales.com website which focuses exclusively on high-rise Las Vegas condo sales, visitors can link to a number of companion Luxury Real Estate Partner sites including MyLvHomeSales.com, MySandiegoHomeSales.com, MyAzhomeSales.com, and LvLuxPm.com (Property Management).